Nature builds flawless diamonds, sapphires and other gems. Now a Northwestern University research team is the first to build near-perfect single crystals out of nanoparticles and DNA, using the same structure favored by nature. “Single crystals are the backbone of many things we rely on -- diamonds for beauty as well as industrial applications, sapphires for lasers and silicon for electronics,” said nanoscientist Chad A. Mirkin. “The precise placement of atoms within a well-defined lattice defines these high-quality crystals. His research group developed the “recipe” for using nanomaterials as atoms, DNA as bonds and a little heat to form tiny crystals. This single-crystal recipe builds on superlattice techniques Mirkin’s lab has been developing for nearly two decades. In this recent work, Mirkin, an experimentalist, teamed up with Monica Olvera de la Cruz, a theoretician, to evaluate the new technique and develop an understanding of it. Given a set of nanoparticles and a specific type of DNA, Olvera de la Cruz showed they can accurately predict the 3-D structure, or crystal shape, into which the disordered components will self-assemble. Mirkin is the George B. Rathmann Professor of Chemistry in the Weinberg College of Arts and Sciences. Olvera de la Cruz is a Lawyer Taylor Professor and professor of materials science and engineering in the McCormick School of Engineering and Applied Science. The two are senior co-authors of the study. The results will be published Nov. 27 in the journal Nature. The general set of instructions gives researchers unprecedented control over the type and shape of crystals they can build. The Northwestern team worked with gold nanoparticles, but the recipe can be applied to a variety of materials, with potential applications in the fields of materials science, photonics, electronics and catalysis. A single crystal has order: its crystal lattice is continuous and unbroken throughout. The absence of defects in the material can give these crystals unique mechanical, optical and electrical properties, making them very desirable. In the Northwestern study, strands of complementary DNA act as bonds between disordered gold nanoparticles, transforming them into an orderly crystal. The researchers determined that the ratio of the DNA linker’s length to the size of the nanoparticle is critical. The ratio affects the energy of the faces of the crystals, which determines the final crystal shape. Ratios that don’t follow the recipe lead to large fluctuations in energy and result in a sphere, not a faceted crystal, she explained. 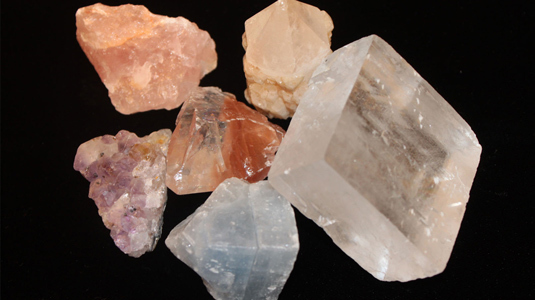 With the correct ratio, the energies fluctuate less and result in a crystal every time. “Imagine having a million balls of two colors, some red, some blue, in a container, and you try shaking them until you get alternating red and blue balls,” Mirkin explained. “It will never happen. To achieve a self-assembling single crystal in the lab, the research team reports taking two sets of gold nanoparticles outfitted with complementary DNA linker strands. Working with approximately 1 million nanoparticles in water, they heated the solution to a temperature just above the DNA linkers’ melting point and then slowly cooled the solution to room temperature, which took two or three days. The very slow cooling process encouraged the single-stranded DNA to find its complement, resulting in a high-quality single crystal approximately three microns wide. “The process gives the system enough time and energy for all the particles to arrange themselves and find the spots they should be in,” Mirkin said. The researchers determined that the length of DNA connected to each gold nanoparticle can’t be much longer than the size of the nanoparticle. In the study, the gold nanoparticles varied from five to 20 nanometers in diameter; for each, the DNA length that led to crystal formation was about 18 base pairs and six single-base “sticky ends. “There’s no reason we can’t grow extraordinarily large single crystals in the future using modifications of our technique,” said Mirkin, who also is a professor of medicine, chemical and biological engineering, biomedical engineering and materials science and engineering and director of Northwestern’s International Institute for Nanotechnology. The Air Force Office of Scientific Research (Multidisciplinary University Research Initiative, grant FA9550-11-1-0275) supported the research. In addition to Mirkin and Olvera de la Cruz, authors of the paper are Evelyn Auyeung (first author), Ting I. N. G. Li, Andrew J. Senesi, Abrin L. Schmucker and Bridget C. Pals, all from Northwestern.